Homeowners in Rapid River, Michigan, and the surrounding areas, that are looking for energy efficient replacement windows for their home, should look towards the experts at The Window Store Home Improvement Center. We have extensive experience performing home improvement projects and will help you find the perfect window that will instantly lead to energy savings. This is because we offer windows that are manufactured with Low-E coatings and foam-filled frames to help your HVAC system better maintain a stable temperature inside your home. 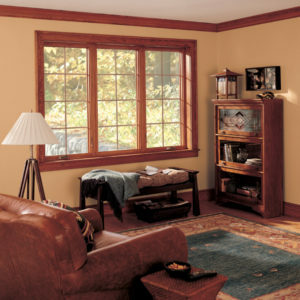 In addition to the many styles we offer, our replacement vinyl windows are made to be entirely low maintenance so that you will find yourself spending less time maintaining your windows. Furthermore, we provide a wide variety of faux-wood grains for you to choose from to perfectly complement the existing interior of your home. To learn more about the vinyl windows we offer to homeowners in Rapid River, MI, and the surrounding areas, contact The Window Store Home Improvement Center today. One of our knowledgeable team members will happily answer any questions you may have about our products.